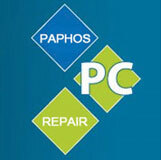 All work carried out by Paphos PC Repair will be guaranteed for a period 12 months. This guarantee does not include software repairs in any form (including: Virus / Malware Removal, Driver Issues, etc) due to the fact that we cannot be held responsible for the way a person uses their PC / Laptop and have no control over the Internet Sites a customer may visit or any pop-up ads, links or attachments users click on. Paphos PC Repair will honour guarantees on all parts supplied to customers inline with the guarantee / warranty offered on the individual hardware components by the companies we purchase / source them from. Paphos PC Repair only offers the manufactures / suppliers guarantee / warranty on parts – we do not offer any additional warranty / guarantee on parts but do offer customers 12 months guarantee on the work we personally carry out (ie. the fitting of the parts). As a rough breakdown of guarantee duration’s please see below. This list is meant as a guide only as suppliers quite often alter their guarantee duration’s and customers should contact us for more information any any parts we have sourced for them. The servers we use for web hosting are not owned by Paphos PC Repair. As such, even though the web service is normally very reliable any downtime on the server is not the responsibility of Paphos PC Repair. Details of the web hosting service and their contacts will be given to the customer. We (Paphos PC Repair) will endeavour to help out our customers with any website error/s that may occur but it should be noted that ultimately we are not responsible for what happens on the web server or web site once we have handed the site over to the customer.